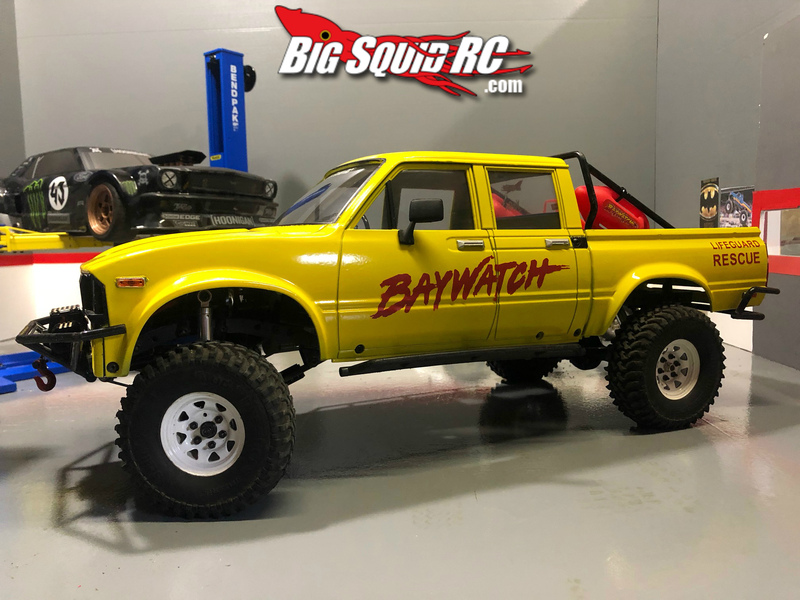 EVERYBODY’S SCALIN’ – RC4WD BAYWATCH TRUCK « Big Squid RC – RC Car and Truck News, Reviews, Videos, and More! What’s up everybody, with USTE 19 only 7 days away I figured it would be a good time to reveal my latest build. I would actually call it more of a theme build and not a full-blown build. During those few days of brutal cold weather I found myself binge watching Baywatch. Now, back in its hay day Baywatch was a very popular TV show for certain reasons. I think we all know why it was so popular… David Hasselhoff’s hair of course. Any way, while I was enjoying the top notch acting and lifeguards going way beyond their jurisdiction. I thought, “how cool would it be to have a Baywatch truck”. And after picking up a used RC4WD Trailfinder 2 LWB I knew it would be a great rig to use. This was probably one of the easiest rigs to do. The hard part was finding the accessories and getting the decals. 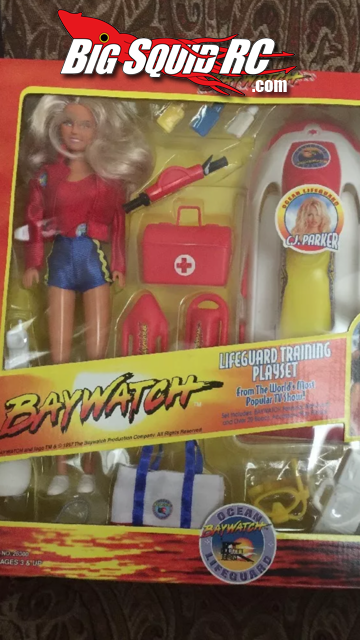 After a little bit of EBay searching I found a Baywatch Barbie. 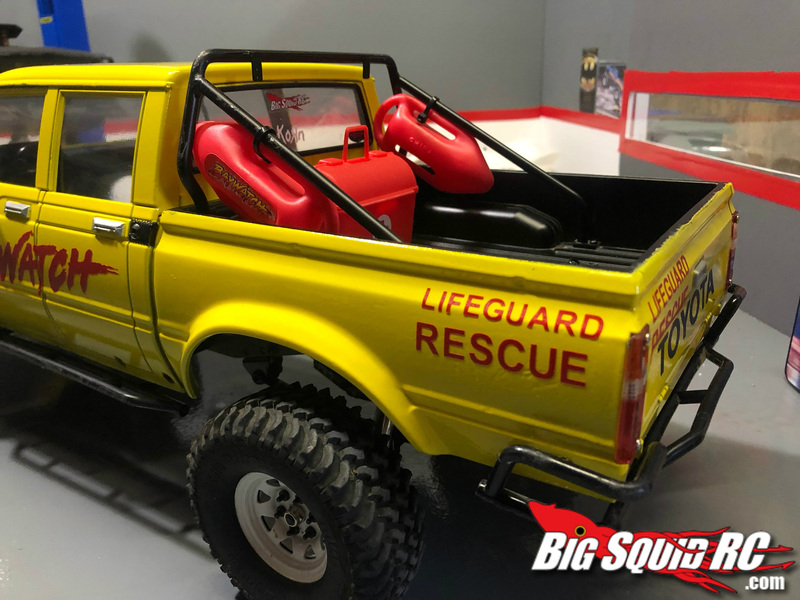 The Baywatch Barbie came with everything I needed like the red floats, surf board, life rings and even a jet ski. 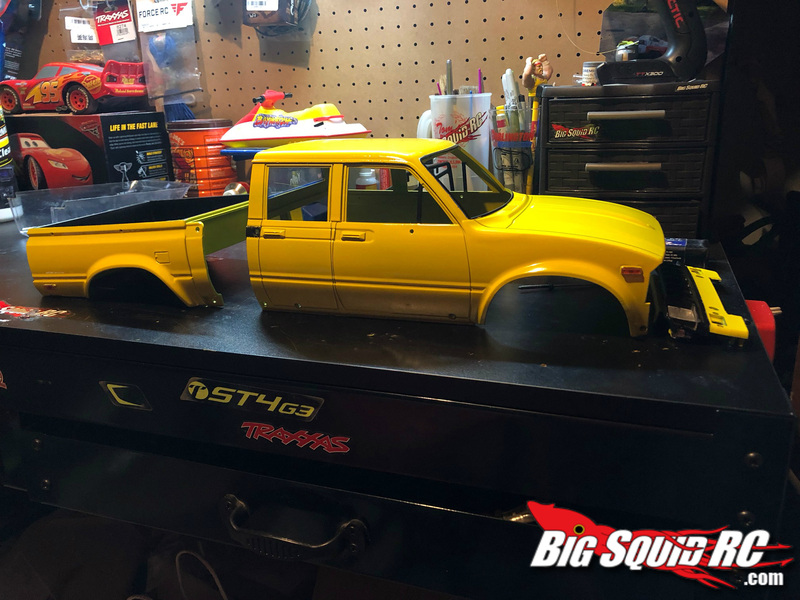 While I waited on the accessories to arrive I started on breaking down the RC4WD body for paint. The fact that the bed and cab are two pieces really made painting the body easy. For the decals I used a local guy from my club. I have him do all my custom decals and he has never disappointed me yet. 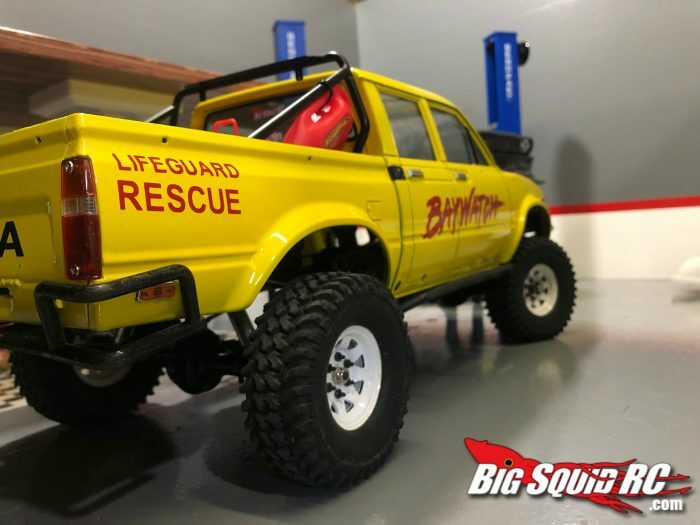 Without the decals the Baywatch truck would just be another yellow Trailfinder. So getting the decals was an all or nothing kind of a deal. Two days after telling him what I needed and what sizes, he had them done and delivered! 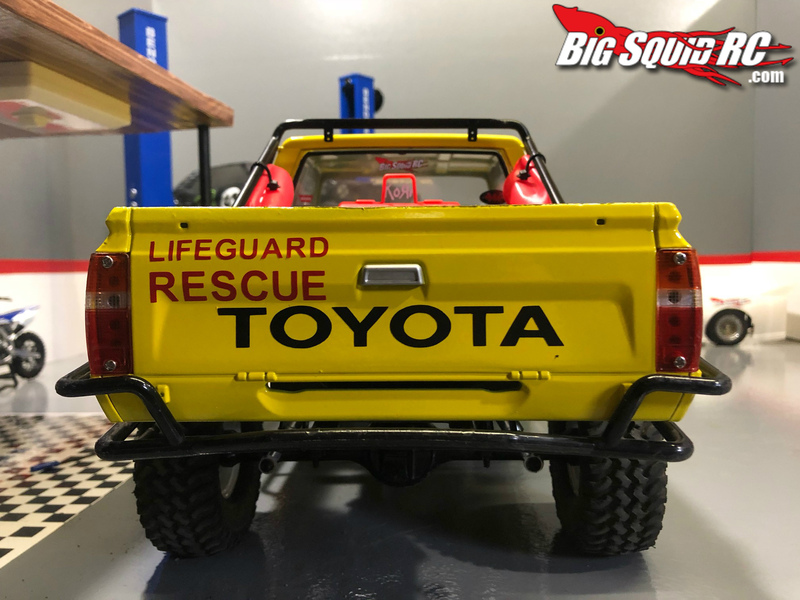 If you are looking to have some custom scale stickers made you can find him on Facebook @ https://www.facebook.com/GFEperformance-Scale-Stickers-And-Signs-For-RC-2364332990463961/. Once everything was in order and the paint was dry I was able to slap it back together. Now there are still a few things I need to do like get the RC4WD interior and add some lights from My Trick RC but my window of time was closing fast for this rig. Only a day laps from finish to when it was packed and shipped to Florida for the Ultimate Scale Truck Expo. I will definitely make good use of the awesome scale trails the crew at USTE 19 have been working so hard on the last few months. If you are able to attend the event stop by the Big Squid both and say hi I will be there all 3 days. So expect to see a lot of pictures next weekend. Till next time, have a fun RC filled weekend and keep Scalin’! 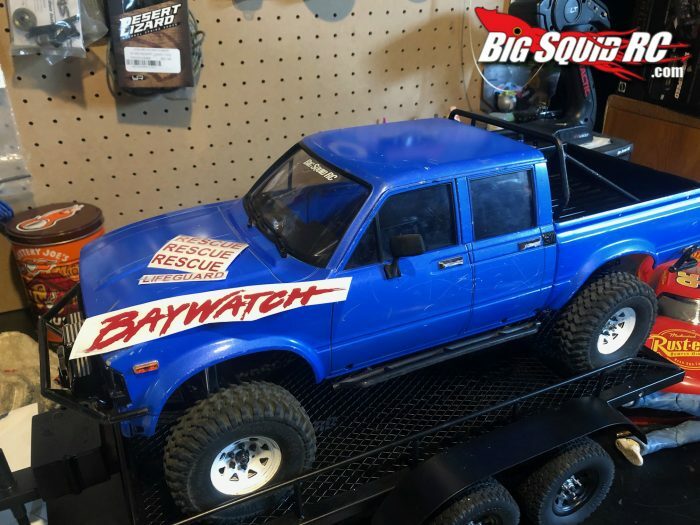 Check out the official RC4WD page for more products or read more RC4WD News right here on BigSquidRC.